As far as skincare goes, I’m still trying to piece together an evening routine I’m entirely satisfied with. It’s not easy, addressing your every skin care concern when you’re not sure which products to trust. But I figured I could start with a brand that works well for me, and that’s where REN came in. I try hard to stay on the paraben and mineral oil free spectrum of skincare and I’m also trying to use more retinol based products. 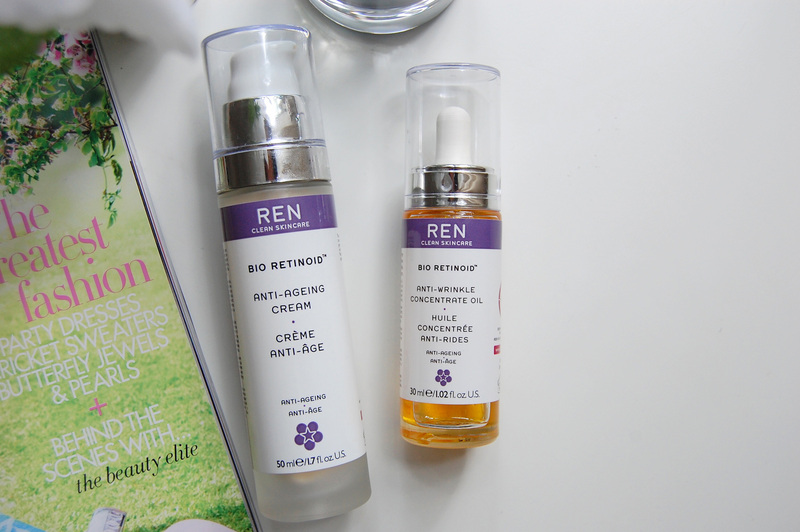 But I picked up both of REN’s Bio Retinoid Anti-Ageing products, because I was curious of the concept of “retinol-like results” without retinol itself. 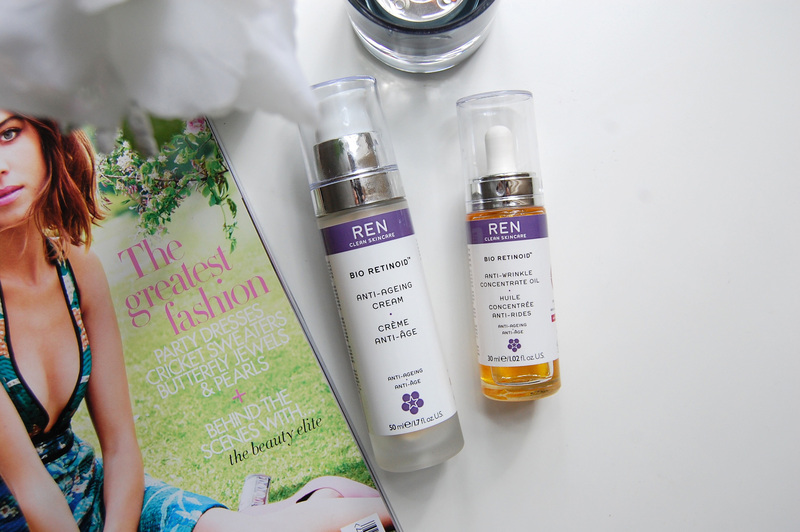 I wouldn’t normally buy two similar products, but the Oil Concentrate and Anti-Ageing Cream complement each other so well. The oil is best described as a dry oil. It’s non-greasy and is packed with plant oil extracts such as cotton, flax, and soybean oils. Although it has added fragrance, it doesn’t irritate my skin. I also like the anti-oxidant aspect of it. The cream on the other hand is rich and nourishing, made with rose water, flax, olive, and fruit extracts, and beta carotene amongst so many others. It feels like I’m feeding my skin with all of the good stuff with this one. I’ve used both of these on and off for months, but recently I’ve used them consistently at least three or four times a week. Even when I’m extremely sleep deprived, or I haven’t been careful with my diet, my skin always looks healthier and radiant, plump and less lined. Maybe the latter is my imagination, but I’d like to think not. And as I like both so much, I’ll keep them close at hand.